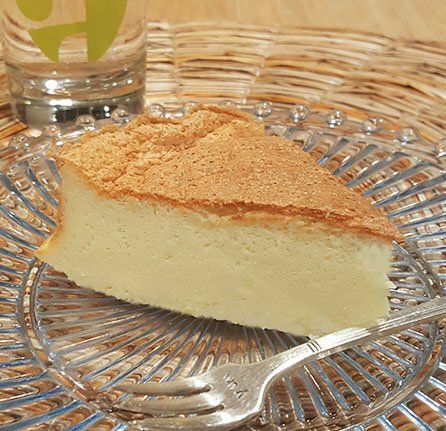 As was discussed in the “Japanese cheesecake” post, soufflé cheesecake is all about fluffiness. 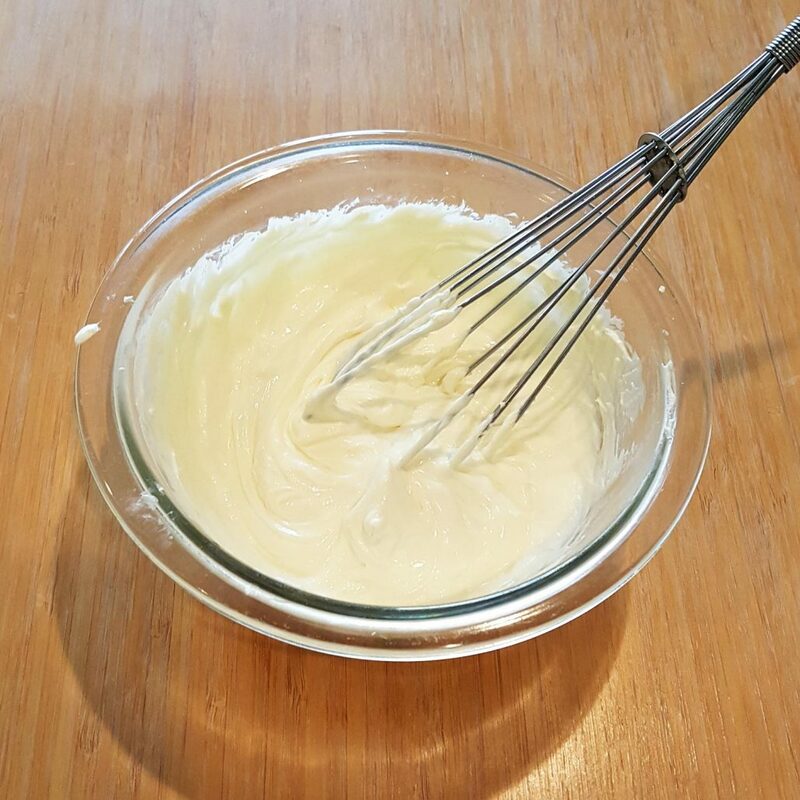 Beaten egg whites are the key. Because you are experiencing the texture, the quantity of ingredients become less important to determine “deliciousness.” Experiment how much sugar you can reduce, and still feel pleasure from eating this feathery cake that melts on your tongue. 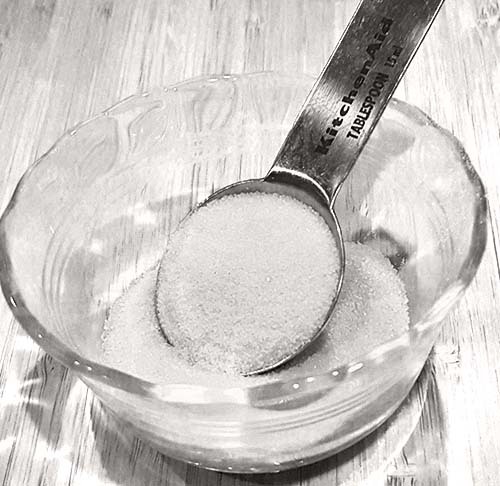 One benchmark is a tablespoonful per serving. Does it sound too little? You will find out. Before you start the process, separate eggs yolks from whites. Make sure the yolk doesn’t get into the white. 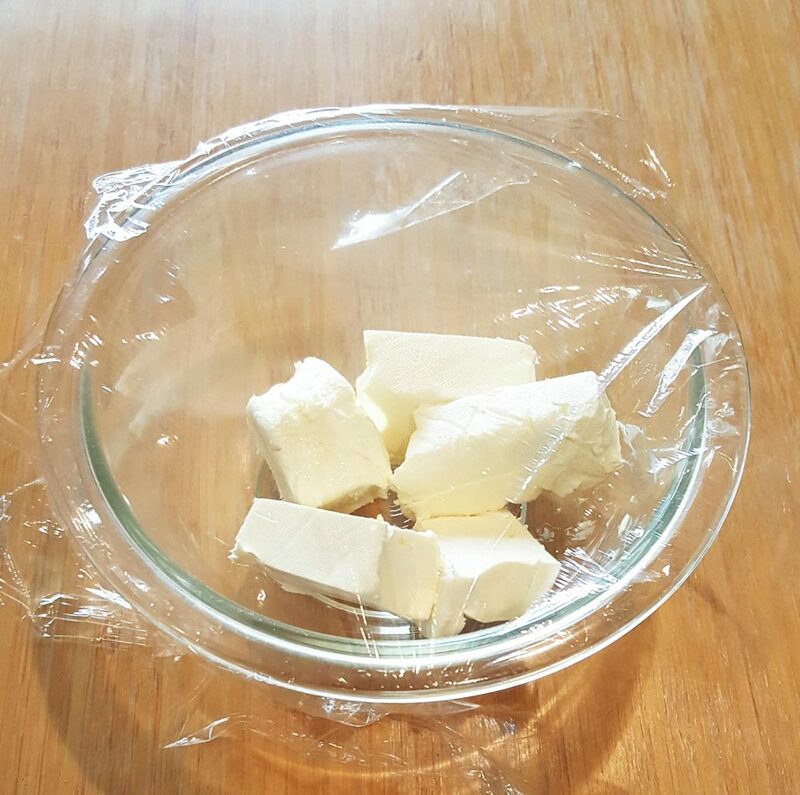 Prepare cream cheese by warming it in a microwave (cover it with a plastic wrap) for about one minute, until it’s soft. Beat cream cheese until it becomes creamy. Add egg yolks, one at a time. Make sure they are well mixed with cream cheese. 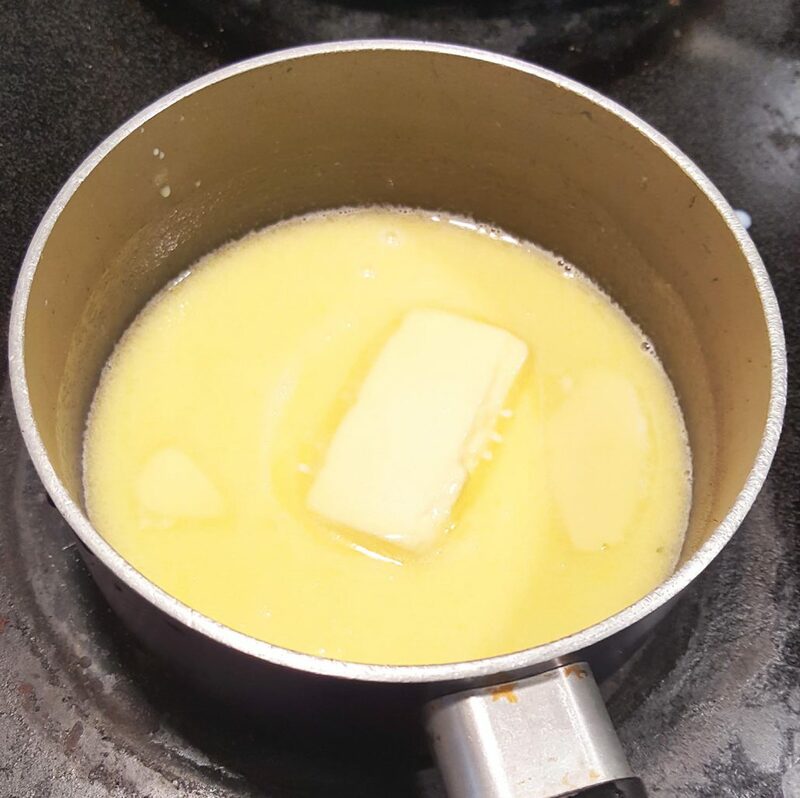 Add milk and melted butter to batter. Mix well. Cover with a plastic wrap. In a separate large bowl, beat egg whites. (Keep the egg whites cold, especially if you are making this in summer.) Add sugar, about 1/3 at a time. Keep beating until it becomes firm enough. But you don’t need to see stiff peaks. 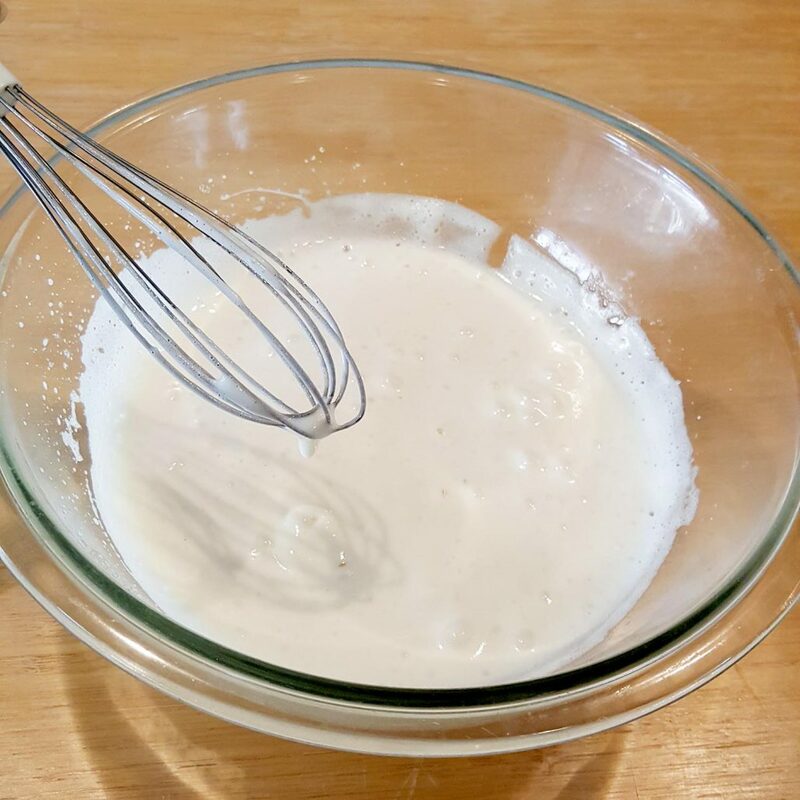 When egg whites are ready add them to batter, about 1/3 at a time. 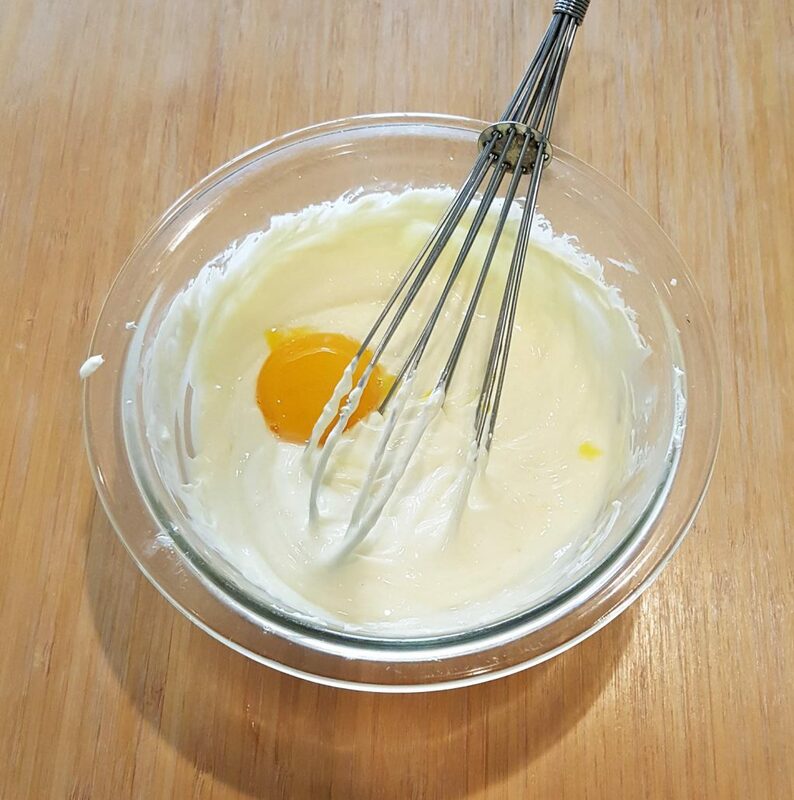 Mix quickly, but thoroughly, so that you don’t ruin the nice voids you made with egg whites. Those voids will make the cake fluffy and wobbly. 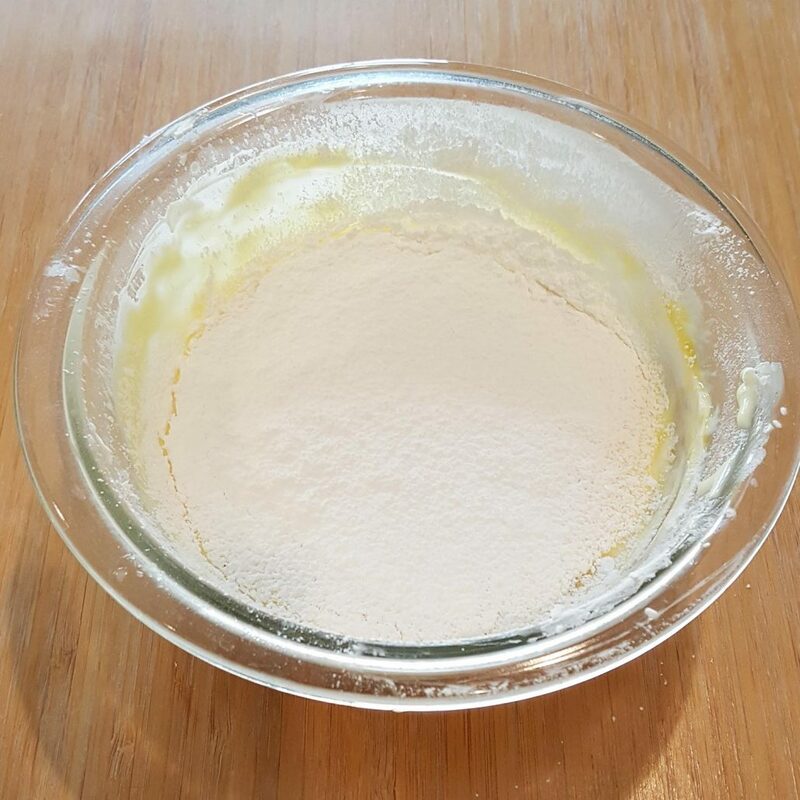 If mixing is not done thoroughly, the airiness, or sponge will not be distributed evenly. Apply some oil or butter inside your baking pan, and place on a deep cooking sheet. 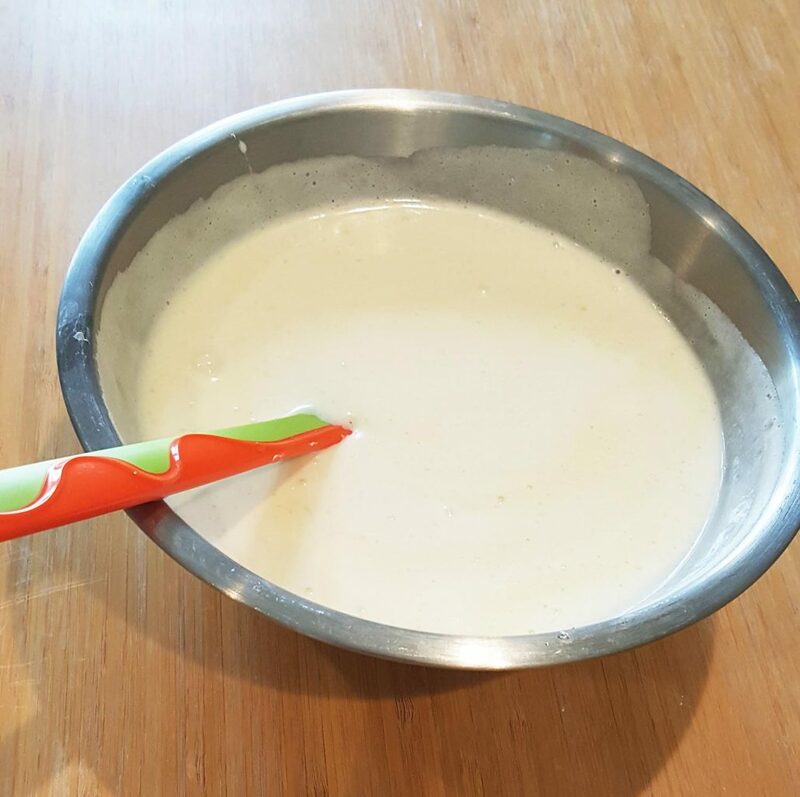 Fill the baking tray with hot water (about 1/2 inch thick) and place your cheesecake batter in the baking pan. Make sure water doesn’t get in the baking pan. Bake for about 45 minutes at 300 F degrees. Leave it at a room temperature for a while before you place in the fridge. Cut and serve. Enjoy! A lot of people like to eat this cold, but I like it at room temperature.